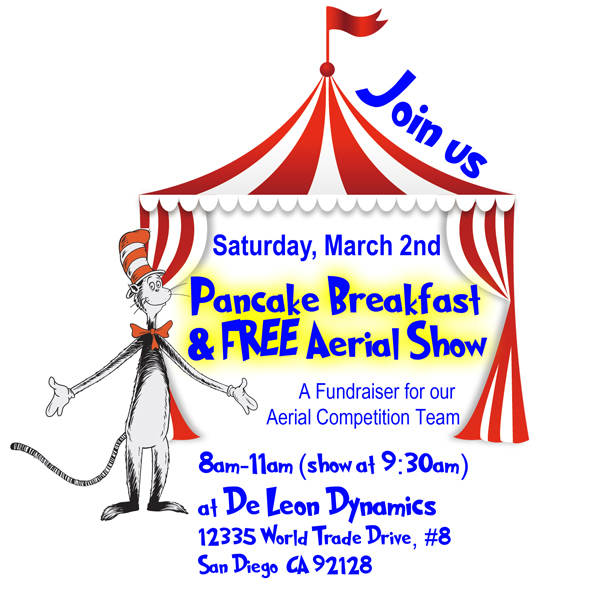 Join us for an Aerial Competition Team fundraiser – showcasing some Seuss-themed routines from our Aerial Demo and Competition Teams. Seuss-themed Showcase at 9:30am (FREE!) – a 30 minute show featuring routines from our Aerial Demo Team and Aerial Competition Team.